Film Stars! Dancing! Popcorn! At last, a life story with everything but the movie stuff edited out. CONFESSIONS OF A MOVIE ADDICT chronicles a love affair with film from the 1930s through the beginning of the new millennium. 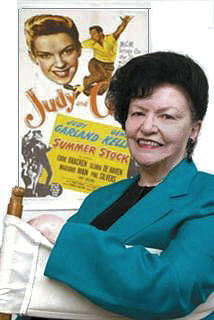 In addition to revealing personal movie-related experiences, film critic Betty Jo Tucker describes encounters with such veteran actors as Mickey Rooney and Charlton Heston, as well as with current stars like Angelina Jolie, Billy Crudup, Guy Pearce, and Brendan Fraser. reviews of more than 70 films released during 2000 and 2001 A.D.
"If Oscars were given out for the funniest book of the year, Confessions of a Movie Addict would win hands down." "Betty Jo Tucker is in love. She always has been. From early childhood, Betty Jo has been smitten with the silver screen. Her love started as an infatuation and grew into a mature study of film and renown as a world-class movie critic. "In her book, Confessions of a Movie Addict, Betty Jo takes us through those early childhood memories of movies, covering her eyes at the scary part, acting out the roles of her favorite stars. Then she landed herself some real jobs as a film critic which gave her a pass into all of the biggest movie events from premieres to the Academy Award Presentations. "This book takes us through many of the hilarious adventures of a movie critic, from embarrassing moments to dining with the stars. Betty Jo shares with her reader many of her best and most clever interviews, sometimes with animated characters! Betty Jo also includes a plethora of reviews on dozens of movies giving the reader a critical, but fun summation of everything from box office hits to cult sleepers. This is a real insider's tale of seeking, meeting and interviewing many of the hottest movie stars ever to flash across a marquee. 'If you want to know what it's like to dish and dine with the Hollywood crowd, this book will do the trick. A great gift for any movie lover, Confessions will make you green with envy at Betty Jo's inside access to the stars." 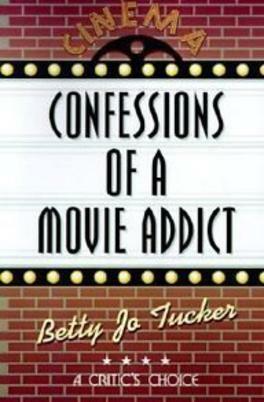 Excerpted from Confessions of a Movie Addict by Betty Jo Tucker. Copyright © 2001. Reprinted by permission. All rights reserved. My problem began with Frankenstein. I remember being a frightened six-year-old hiding under the seat at Clyne’s Theater in Pueblo, Colorado, hoping for protection from that scary monster on the big screen. Despite my terror, I couldn’t stop peeking. Both horrified and amazed, I became hooked on movies then and there. This addiction continued throughout my childhood and adult life. I even fell in love with my husband because he resembled a certain handsome actor, and we named both our children after movie stars. As I enter my seventies, I’m still a practicing movieholic. Luckily, because I write film reviews now, I see more movies than ever. During grade school, my cousins and I spent most of our weekends at the Clyne and the Avalon, two movie houses located across the street from each other in a working class neighborhood called Bessemer. Both theaters always scheduled a double feature plus “added attractions” which included one cartoon, a serial, film previews, and a newsreel. Wide-eyed, we enjoyed every offering while gorging ourselves on popcorn, Milk Duds, and ice cream bars. Sometimes we went from one “picture show,”which is what we called the theatres then, directly to the other. We were insatiable when it came to movies and goodies. When we were a bit older, we hopped on a streetcar for a bumpy ride to one of the downtown cinemas. We loved the Chief because of its lavish red and gold interior-but preferred the Main’s more buttery popcorn. The Colorado usually offered a double feature which was hard to resist. And sometimes we stopped off at the Mesa Junction to take in another flick at the Uptown, famous for its “bank night” giveaways. Reacting to my obsession with film, my mother actually tried to land me a part in a movie. After hearing about MGM’s search for a young girl to star in National Velvet, she sent the studio a picture of me on a horse. Unfortunately, that role went to Elizabeth Taylor. I recall she appeared earlier in Lassie Come Home, a film I didn’t get to see all the way through. Because Ruella, my sensitive little sister, made too much noise sobbing over the collie’s misfortunes, we had to take her home in the middle of the movie. I forgave her—-a few years later. I’ve just gotta earn some money this summer. Those movie magazines cost an arm and a leg, but I can’t live without them. Photoplay is running a story about Rita Hayworth this month, and I think Modern Screen has an interview with Glenn Ford. I’m not sure what’s in the others, but I know it’ll be great stuff. Guess I better get a job. Grandma wants me to try babysitting or housework. But why should I ruin my last summer before high school doing things I hate? What else do I know how to do? Cooking is definitely out. I better stay away from the kitchen after that last goof. I still think Mother should’ve explained what she really meant when she asked me to check the baked potatoes by putting a fork in them. Wow, did she let out a yell when she opened the oven and found a fork in all eight spuds! Too bad there’s no movie studio in Pueblo. I’m not old enough to be an usher down at the Uptown Cinema. I’ll just have to think of something else. What about teaching tap dancing to the neighborhood kids? Tapping is great fun and I’ve taken lessons ever since I could walk. Hmm, how much should I charge? I’m not very good at math, but I need about $5 a month for my magazines. If I can talk even three parents into letting me give their kids one lesson a week, I’ll ask for one dollar a lesson. That will be enough for a few movies as well as all the magazines I can read. What a neat plan! I’m proud to say three precocious toddlers made their Pueblo show business debuts at the end of that summer with a “shuffle step, shuffle step, shuffle step, ball change” routine-to the tune of “On the Good Ship Lollipop.” According to six smiling parents, the first dance recital of these Shirley Temple wannabes was a huge success. As for me, I was just happy to earn enough money for my precious movie magazines.